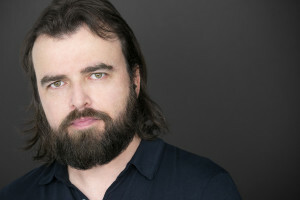 HighEdWeb is thrilled to welcome back our old friend, Scott Stratten (@UnMarketing) to deliver #heweb15’s closing keynote on Wednesday, October 7. 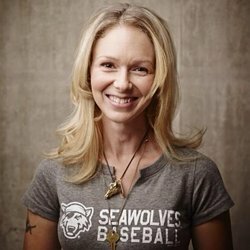 And even better: he’ll be joined by Alison Kramer (@UnAlison), co-host of the UnPodcast, for a special post-keynote Q-and-A. Scott Stratten is the president of Un-Marketing. He is an expert in viral, social, and authentic marketing, which he calls Un-Marketing. Formerly a music industry marketer, national sales training manager and a professor at the Sheridan College School of Business, he ran his “UnAgency” for a nearly a decade before solely focusing on speaking at events for companies like PepsiCo, Adobe, Red Cross, Hard Rock Cafe, Cirque du Soleil, Saks Fifth Avenue, Deloitte and Fidelity Investments when they need help guiding their way through the viral/social media and relationship marketing landscape. He now has over 175,000 people follow his daily rantings on Twitter and was named one of the top five social media influencers in the world on Forbes.com. He has written four best-selling business books, the newest being UnSelling: The New Customer Experience which was just named “Sales Book of the Year” by 1-800 CEOREAD. Alison Kramer is writer and co-creator of content at UnMarketing. She has co-written four best-selling books – UnMarketing, The Book of Business Awesome/UnAwesome, QR Codes Kill Kittens and UnSelling. Prior to writing, she developed and ran an international maternity lingerie company called Nummies. Alison writes and speaks about social media, parenting, business and marketing. Alison is mother of a bunch of awesome minis, reluctant runner and yogi. Her current adventures also include co-hosting CBS’s premier business podcast, the UnPodcast, with her partner the wonderful Scott Stratten. Previous Previous post: The HighEdWeb 2015 Schedule is Out!